The Memorial Hall in 2009. In the 1930’s, the then Village Hall, stood on the corner of Ringwood Road and Edmondsham Road close to the Flats which are now situated there. It consisted of one largish room with a raised platform at one end on each side of which was a tiny dressing room. 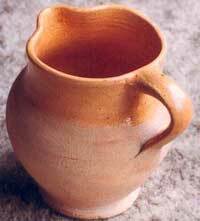 There were no ancillary rooms, no toilets and no rear exit; but outside at the back was an Elsen bucket, approached by leaving by the front door and walking down the side. The other main meeting room at that time was in the Restyng House which was later occupied by Baileys Electrical shop. After its demolition, the Restyng House was replaced with the flats and shops we see today, one of which remains as Baileys Electrical shop. According to a former resident of Verwood, Mrs Biddy Cannell, the initial thoughts about a new Village Hall (now known as the Memorial Hall), were first voiced as early as 1936 when several residents requested Verwood Parish Council to convene an open meeting to consider the possibility of providing a new Public Hall. Consequently a meeting was fixed for March 30th 1936 under the chairmanship of the late Mr. Robert Thorne, J.P., at which a Resolution was unanimously approved, and an 'ad hoc' committee was set up to examine the possibility and report back. At the outset it was considered that “all bodies of social service in the district should join in the appeal for funds”. The first committee consisted of Dr. & Mrs. Tame, Mr. & Mrs. A. E. Brewer, Mr. & Mrs. Dennis Cannell, Miss. A. E. Bailey, Mr. Robert Thorne, J.P., Mr. R. A. Franklin, Mr. F Osman, Mr. R. Brown, Mr. J. Sherry, Mr. G. Miller-Reid, Mr. C. F. Rugg, Mr. H. C. Barrow and Mr. O. Channon Collinge. Their brief was to investigate all aspects including — site, funds, grants, loans, trusts, etc. Approaches were made to the Carnegie United Kingdom Trust and the National Council of Social Service relative to the possibility of raising a loan or the obtaining of a grant. With the outbreak of war in 1939 all functions were cancelled and the money already raised (£354) was invested in a 3% War Loan. The 'ad hoc' committee was also put on hold until the end of the war and in October 1945 a ‘Thanksgiving Week’ was organised, and from this effort a further £73.13s.6d was added to the funds. In June 1946 the annual Carnival was revived and a record sum of £361.13s.9d was added to the fund. To raise more funds, Mary Wilson, Auctioneer, held an auction of furniture in the original village hall, at the crossroads. Muriel King, who lived at Glenwood Rd., sent a piano to be sold which was bought by Jim Laird who lived a few doors away in Glenwood Rd! Many more events were held to raise funds for the new hall until by the end of 1952 it had amounted to £1967.18s.2d. Progress was made in 1955, when the basic requirements for a possible ministry grant were considered. These required a Committee of Management and Trustees to be appointed. The National Council of Social Service gave invaluable help and advice. The Parish Council were appointed Trustees, and the Committee of Management was formed. This consisted of the Trustees plus a representative appointed by each local organisation, together with the Schoolmaster, three members elected annually at the Annual General Meeting, and not more than three by co-option. Consequently the New Hall Fund Committee was renamed the Memorial Hall Committee of Management. After inspecting and discussing the merits of various proposed sites, a Parish Meeting decided that theMemorial Hall should be erected in the Recreation Ground, (The “Rec.” is a memorial to those who fell in the 1914-1918 World War.) this met with a lot of opposition from various bodies at the time, and eventually it was agreed that it should go in one corner. In discussions with Ron Garnham (son of Councillor Thomas Garnham) the author understood that initial plans were for a hall to be combined with that of a Sports Pavilion containing a veranda from where cricket and football matches could be observed on the Recreation Ground. This has since been confirmed by Dennis Wright. It was to be built on the land that is now occupied by the Children’s Play Area (2009). This idea was thrown out by the Charity Commissioners as it was on too lavish a scale for the size of the village. The population at that time was around 2500 inhabitants. The architect’s new idea was to remove the Sports Pavilion aspect and build the hall in such a way that the Pavilion could easily be appended at a later date, but this was also not allowed by the Commissioners. There were two builders on the Parish Council, one couldn’t get the bricks and the other couldn’t get the timber. Things came to a standstill. Many REEMA halls were built in the south and many still exist in this area, at Fordingbridge, West Parley, Broadstone and Coombe Bissett. The one that did exist in Cranborne had since been replaced with a new hall on the same site. The Memorial Hall under construction. The building of the Hall was very much a village affair. Thorne’s Timber Merchants removed the trees, to prepare the site. John Baker then dug the drains with his digger and assisted Jim Scammell, with other volunteers in the digging of the cess pit. The REEMA Hall itself was built by Alf Harley and Jim Laird. Mike Wareham’s son, Adrian, well remembers the day when the building started. Mr. Cottrell (The Council School (now Hillside School) - Headmaster), took all the boys out of school to see the big crane lifting the sections into place. Fred Bailey (One of the original Founders of Baileys Electrical) did all the electrical work and Stan Prince fitted the gas water heaters. Original curtains and wall colour were chosen by Mrs Agnes Thorne and niece, Brenda Reeks. (L-R) Mr Clifford Barrow, Mr Horace Thorne, Ted Cox, Thomas Garnham, ?, ?, Reg Smith. Soon after the hall opened, the antenatal clinic was held in the hall. Babies were weighed and the well known Nurse Fuller was there for advice. Malcolm Smith’s earliest recollection of the hall, was attending a carnival dance in the late 1960’s where he and his wife Brenda were the only, extremely overdressed, adults. They sat on the wall bench on the field side, looking at a row of leather jacketed youths seated opposite. They did dance a bit, but don’t think that they stayed to the end. Until 1999 the Carnival was held on the Recreation Ground, the Memorial Hall being used to serve refreshments. It has been used by the AmDrams until a few years ago with 2 plays being produced every year and the Pantomime Society staged all its productions there until 2007 when they transferred to the new Verwood Hub. Regular dances, whist drives, bingo sessions, concerts, bazaars, films shows, and Jumble Sales, as well as the Friday Market which continues today, were enjoyed. In 1977 the Memorial Hall was extended during the Queen’s Silver Jubilee with the addition of the “Elizabeth Room”. More recently with support from the three tiers of local government and grants from "Awards for All" and "Dorset Community Action" many improvements have been made to the hall. In 2004 a new heating system and ceiling fans, electrics and plumbing were upgraded with a new toilet for the disabled installed in 2007. In 2008 a small front extension was added to provide independant access to the “Elizabeth Room” and the kitchen was thoroughly modernised; new blinds, curtains and chairs have also been purchased. New fascias, soffits, guttering, downspouts, front tiling and cctv were then added and currently there are plans for a new porch. The hall has come under threat a number of times. Firstly in 1988 the East Dorset District Council put forward a proposal to build a new hall behind the existing REEMA building with the current memorial hall being demolished to provide a car park for 142 cars. Remember that at that time the current car park behind the Heritage Centre did not exist. There was a great deal of local opposition to the plan which was later dropped. In 1999 the Town Council supported a proposal to build a Day Centre and a Community Centre on the Recreation Ground with the Memorial Hall again being demolished leaving Verwood with no hall at all during construction. The Day Centre was slipped from the plans and a new Community Centre was proposed on the opposite side of the Recreation Ground along the side of Vicarage Road with the Memorial Hall again being demolished but residents again objected. This plan was put to a public consultation run by Bournemouth University when an option to build a new community centre on land known as Bakers Farm was also included. The Bakers Farm option was very strongly supported. This resulted in the Day Centre also being built at Bakers Farm with what it now “The Hub” alongside. The Memorial Hall continues to be well used for small events, with larger events being held at The Hub. · Notes from the Opening Ceremony Souvenir Programme from which large sections of the included history were included. · Stan Prince – thoughts of “The Memorial Hall” – unpublished. · Winifred (Biddy) Cannell – letter to the Mayor, January 2000. 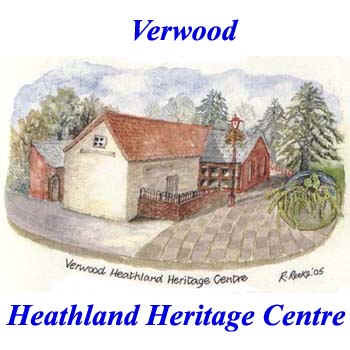 · Verwood Echo report – Memorial Hall opened.